Switching a SiC MOSFET Power Module creates two significant problems that need to be addressed to optimize the performance of the device: turn-off spikes and ringing. These two parasitic problems need to be controlled while maintaining efficient switching. AgileSwitch has developed a patent-pending line of programmable Gate Drive Boards (GDBs) that address these problems, controlling the turn-off di/dt by varying the gate voltage level and dwell time to one or more intermediate levels during turn-off. This process is typically referred to as Augmented Turn-Off or ATOff. In addition, AgileSwitch software configurable GDBs report out 7 unique fault conditions along with Temperature and DC Link Voltage. The combination of these effects will help drive growth in adoption of SiC devices, and the inverters that they support. Protecting the power semiconductor is a continuous process and AgileSwitch Gate Drivers have a unique capability in this regard. 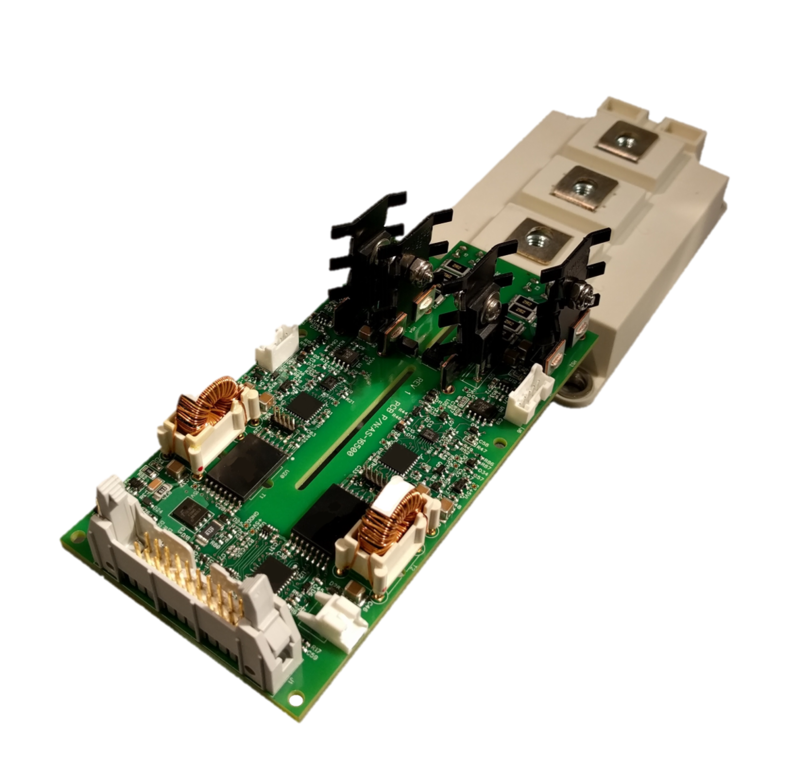 The driver boards from AgileSwitch are able to reduce the stress on the Power Semiconductor while reducing switching losses, through the use of Augmented Turn-Off. Under normal operating conditions, the gate voltage in a turn-off cycle steps through an intermediate level before reaching the off voltage level. Under short circuit conditions, the gate voltage steps through multiple intermediate levels before reaching the off voltage level. 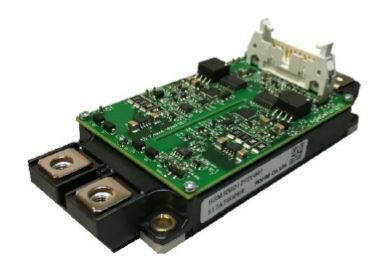 The AgileSwitch 62EM1-62mm Electrical driver provides monitoring and fault reporting information to enable better control and analysis of an SiC MOSFET-based power systems. The 62EM1 provides up to 20 Amps of peak current at an operating frequency up to 125 kHz. The driver includes isolated HI and LO Side DC/DC converters and provides 7 fault conditions that are reported as a combination of the 3 fault lines via the 20 pin control header. All AgileSwitch drivers use automotive temperature grade components and allow for modifying settings of gate resistors. The AgileSwitch EDEM3 Electrical gate driver provides monitoring and fault reporting information to enable better control and analysis of an SiC MOSFET-based power systems with leading manufacturers. The EDEM3 provides up to 15 Amps of peak current at an operating frequency up to 50 kHz. The driver includes isolated HI and LO Side DC/DC converters and provides 7 fault conditions that are reported as a combination of the 3 fault lines via the 20 pin control header. All AgileSwitch drivers use automotive temperature grade components and allow for modifying settings of gate resistors. Below you will find the supported modules and package types. If your module of choice is not listed below, it does not mean that it is not supported. Please email the NAC Power FAE for further assistance with your application needs.